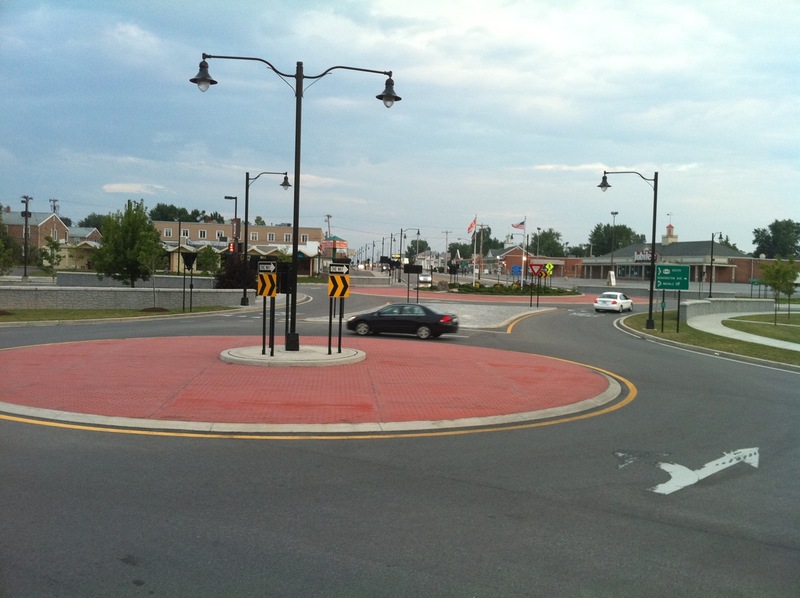 A colleague sends the above photo of a “double roundabout,” in Buffalo, NY (or it’s suburbs). While your first thought might be, wow, how confusing, consider the Google Map image below that shows the original intersection — too big, actually two intersections masquerading as one (one can imagine cars getting “trapped” in that little extra segment, and box-blocking problems). Undoubtedly there was a crash problem, hence the double roundabout. Which are used in the U.K. (and taken to its logical extension in the “Magic Roundabout”, of course, but are, as far as I know, relatively novel here. Anyone live near here by chance and care to weigh in? 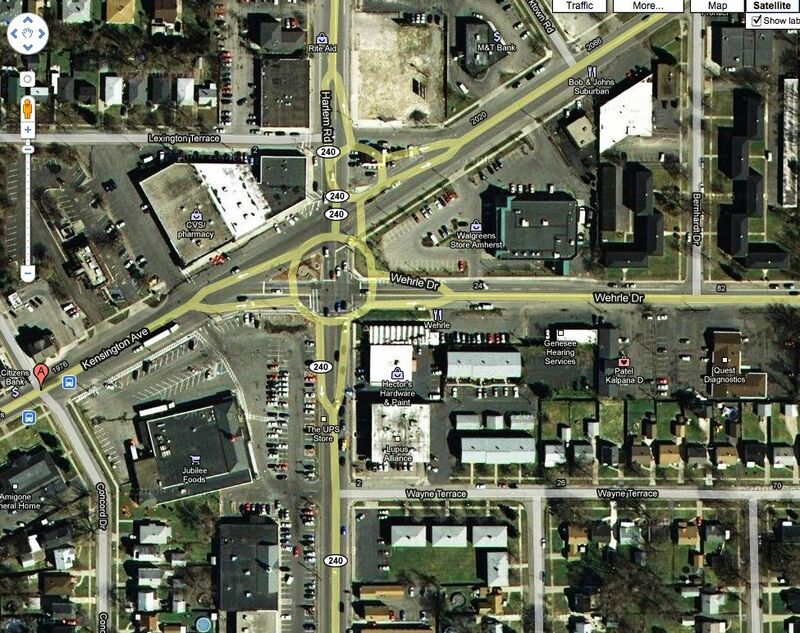 Comments Off on Figure 8 Roundabout in Buffalo. Click here to leave a comment.